Welcome to Kim´s Asia! - kimsasias Webseite! For more than 20 years Kim´s Asia imports food with best quality from Korea and Japan to bring you the amazing diversity of the East Asian kitchen. We supply customers in gastronomy,retail and wholesale in most parts of Europe. We would like to thank our longtime customers for their trust, and also hope to welcome you as our new customer! 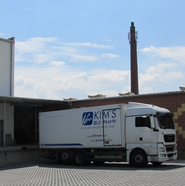 2013 (c) Kim´s Asia Import Export GmbH. All rights reserved.